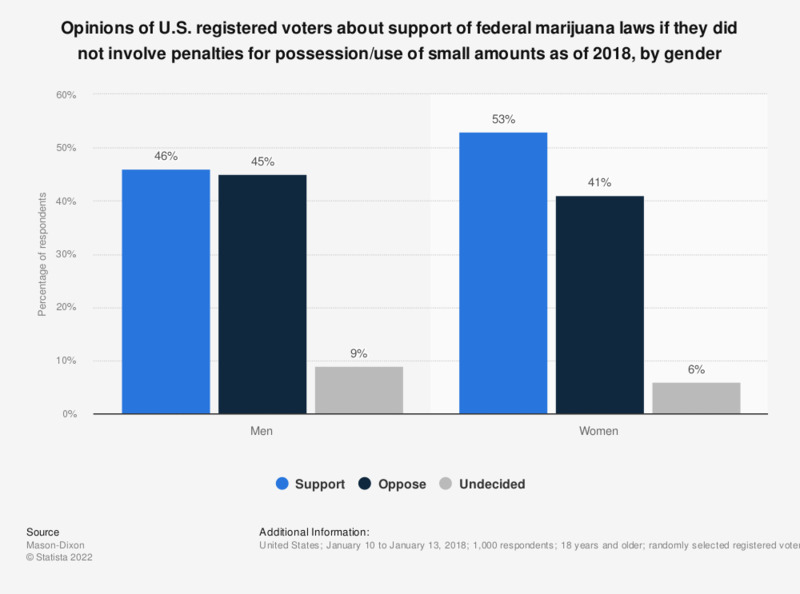 This statistic shows the percentage of survey respondents that would support or oppose enforcement of federal marijuana laws if they did not involve penalties for the possession and use of small amounts of marijuana as of 2018, by gender. According to the results of the survey, 46 percent of men would support the proposed law. Original question: "Would you support or oppose enforcement of federal marijuana laws if it did not involve penalties for possession and use of small amounts of marijuana?"